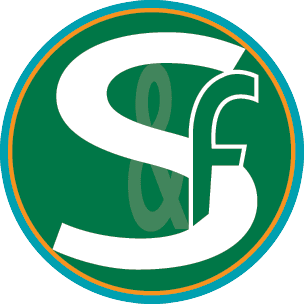 S & F CONSULTING FIRM LIMITED, Foreign Company Registration, Company Formation in Singapore consultancy Firm. Foreign Company Registration (100% Foreign Investment, Joint Venture, Virtual/ Branch/ Liason Office, Foundation), Taxation, Accounts & Audit, Legal, Company Secretarial & Management Consultancy. A subsidiary company is a locally incorporated private limited company whose majority shareholder is another local or foreign company. Singapore allows 100% foreign ownership in companies. Therefore a foreign company may incorporate a local limited liability company in Singapore (ie subsidiary company) and own 100% of the shareholding. A branch office is treated as an extension of the foreign company. This is an important point since it means that the foreign company’s head office bears the ultimate responsibility for any liabilities arising due to the acts of commission or omission of the Singapore Branch Office. From a taxation point of view, a branch office is generally considered a non-resident entity and therefore not eligible for the tax exemptions and incentives available to local companies in Singapore. Consequently, setting up a branch office is a less attractive option for small to mid-size businesses. The name of the Singapore branch office must be the same as that of the head office and must be approved first before branch office registration. The company registrar generally approves the proposed name unless a name is identical to an existing company name. Singapore Companies Act requires that a branch office appoint 2 agents who are ordinarily resident in Singapore to accept services of process and notices. A branch office must have a registered office address in Singapore. A Singapore branch office is allowed to conduct any type of business activity that falls within the scope of its parent company and can repatriate its earnings and capital. The portion of the income of the branch office, which is derived from or attributable to the operations carried out outside Singapore, will not be subject to taxes. Only the earnings derived from its operations in Singapore will be subject to the prevailing local corporate tax rates. For a complete guide on setting up a branch office in Singapore, refer to Singapore branch office registration guide. Foreign companies that are only interested in exploring the market or managing the company affairs without conducting any business activity of profit yielding nature, can setup a representative office in Singapore. A representative office is a temporary setup without any legal persona. Therefore it cannot enter into any contract, engage in trading directly or on behalf of the foreign company, lease warehouse, raise invoices, open letter of credit, etc. Representative office in Singapore can only undertake market research or feasibility studies on behalf of its parent company. The foreign company and its assets cannot be held for the debts and liabilities of the subsidiary. Raising funds locally or availing government incentives are easier. A subsidiary company will generally enjoy a resident status and can avail the benefits of several favorable tax treaties that Singapore has concluded. It is administratively easier to maintain than a company. In addition, closing a branch is easier than liquidating a company. The liabilities of a branch extend to its head office. A branch having a registered office in Singapore means that its head office (foreign corporation) can be served with legal process in Singapore. Another disadvantage is that the accounts of the head office must be lodged with the ACRA and they are available for public inspection.